Protect-X™ is a highly-automated, browser-accessible security hardening and compliance solution for HPE NonStop, NonStop X, Virtual NonStop and Linux servers. The latest release, Protect-X version 4.0, is a major upgrade to Protect-X, which revolutionizes security and compliance management for NonStop systems. 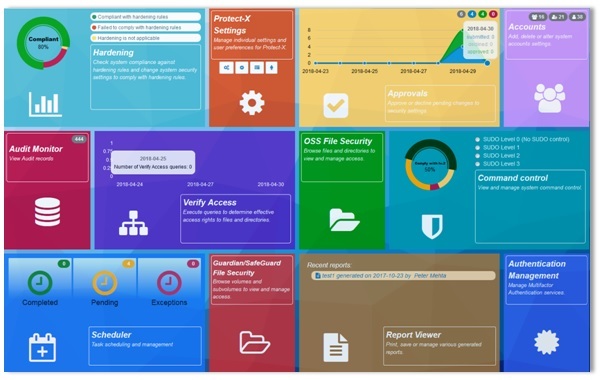 It includes a variety of features, functions and innovative techniques to address today’s compliance challenges for Guardian/Safeguard and OSS environments. Protect-X allows you to easily ensure compliance, assess risk and manage security of your hybrid platforms.